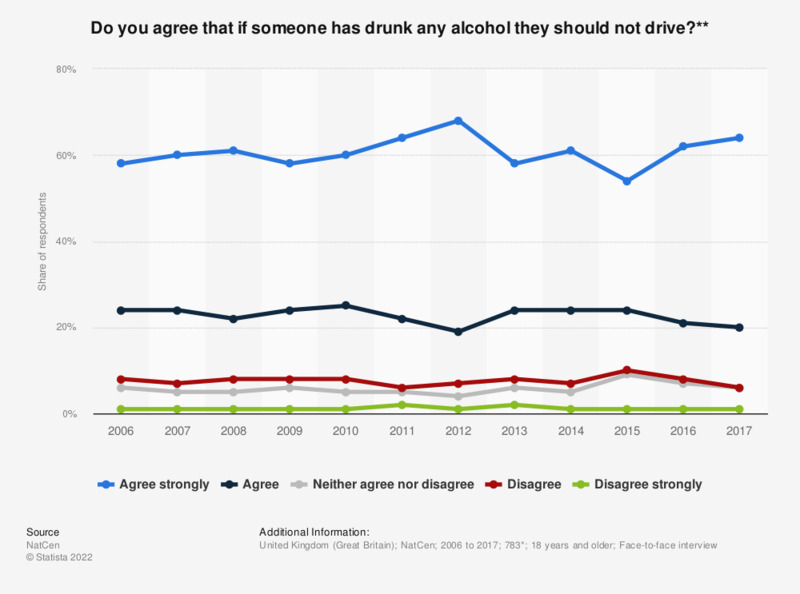 This statistic shows the share of opinions on drinking and driving in Great Britain between 2006 and 2017. Unsurprisingly the vast majority of respondents, a total of 84 percent in 2017, agreed that people should not drive after having drunk alcohol, with 64 percent strongly agreeing with the statement. * Previous base values provided by the source. **The original survey statement was "If someone has drunk any alcohol they should not drive". Overall, what is your perception of the country of Israel today?